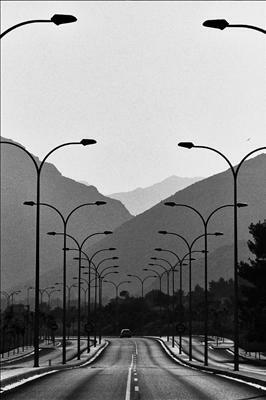 Jan Traylen: Formentor Road 9: Vanishing Point. A convergence of hills and a road leading to a vanishing point. Black and white photograph.